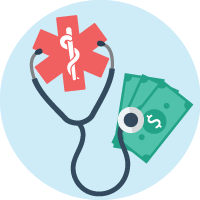 Although health saving accounts (HSAs) have been available since 2003, for many plan sponsors new situations continue to arise. One of those situations could be having an employee turn 65. Now what happens? Medicare eligibility and enrollment seem simple but in reality are quite complicated. And, as the employer, you may not be aware of the employee’s decision on another element affecting Medicare—Social Security. 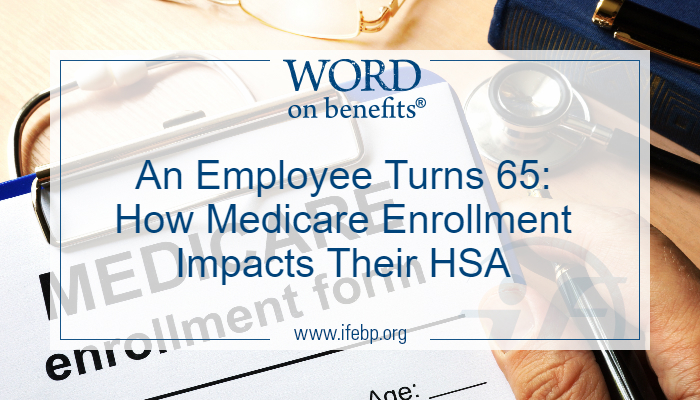 In order to continue making contributions to an HSA after the age of 65 (or accepting an employer’s contribution), an employee must only be enrolled in an HSA-qualified high-deductible health plan (HDHP). So, in the first two scenarios above, the employee would no longer be allowed to make contributions to an HSA. However, in the third scenario above, delaying Medicare allows contributions to an HSA as long as the employee continues to receive health benefits through an HDHP. The bottom line is that enrollment in any part of Medicare disqualifies an individual or employer from making contributions into the HSA. Withdrawals for qualified medical expenses are still allowed in retirement, even while on Medicare. Since the existing HSA balance rolls over from year to year, an HSA can be an attractive savings vehicle for retirement years when health care could be a major expense. 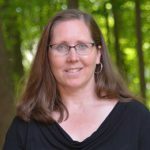 Individuals can also use their existing HSA funds to pay the premiums for Medicare Parts B, C (Medicare Advantage), and D but generally not for Medicare supplement or Medigap insurance premiums. If you are among the nearly one-third of employers that offer a HDHP paired with a HSA, a great resource to have handy is the current version of Medicare and You.